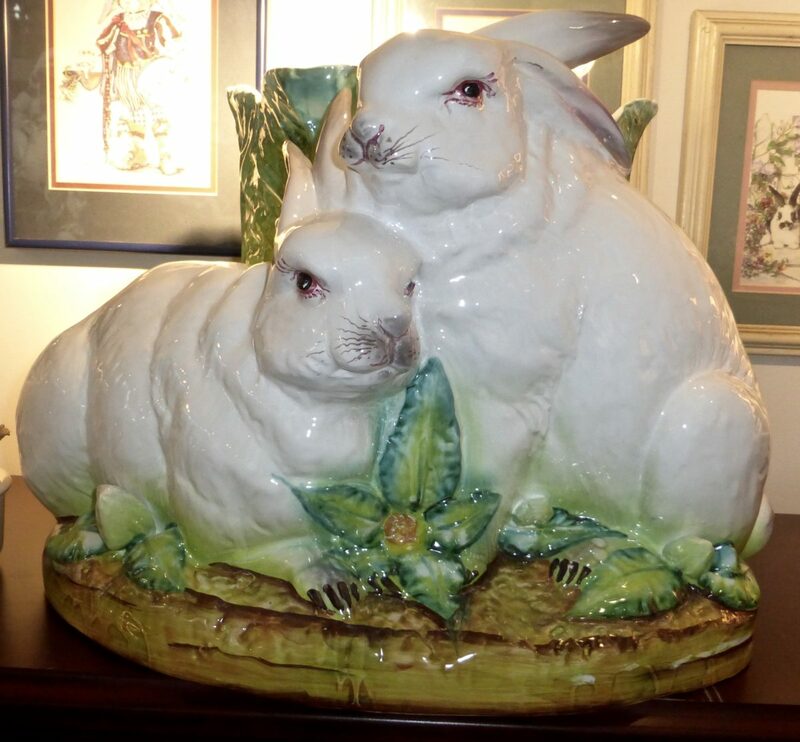 Thanks to their adoration of everything bunny, Candace Frazee and Steve Lubanski have taken hare raising to a new level. 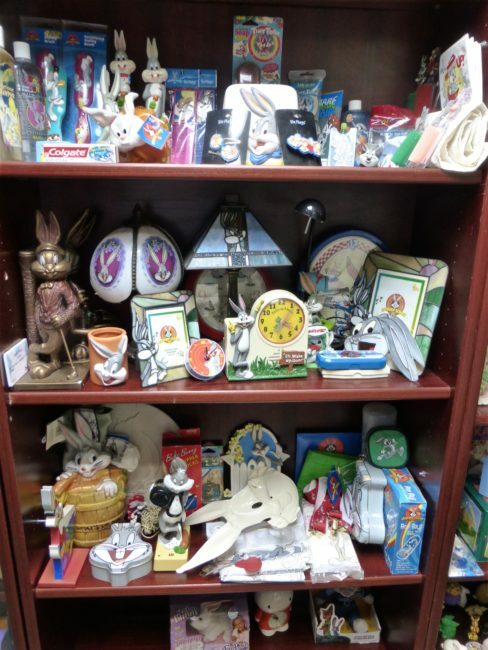 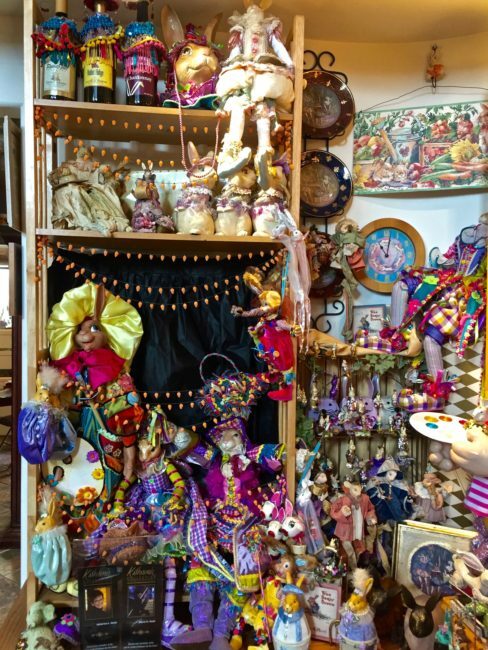 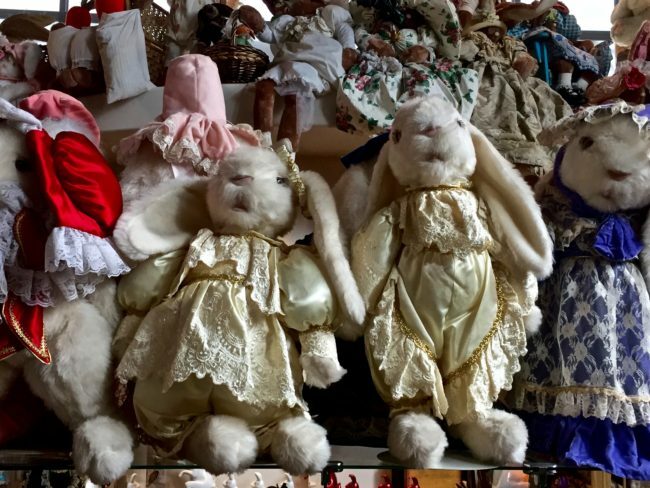 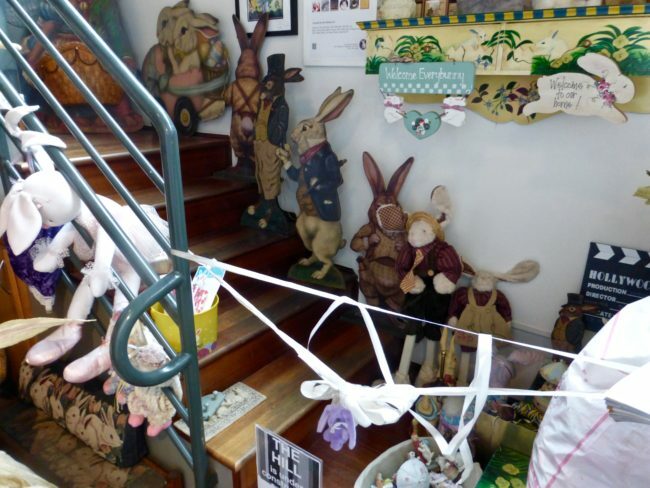 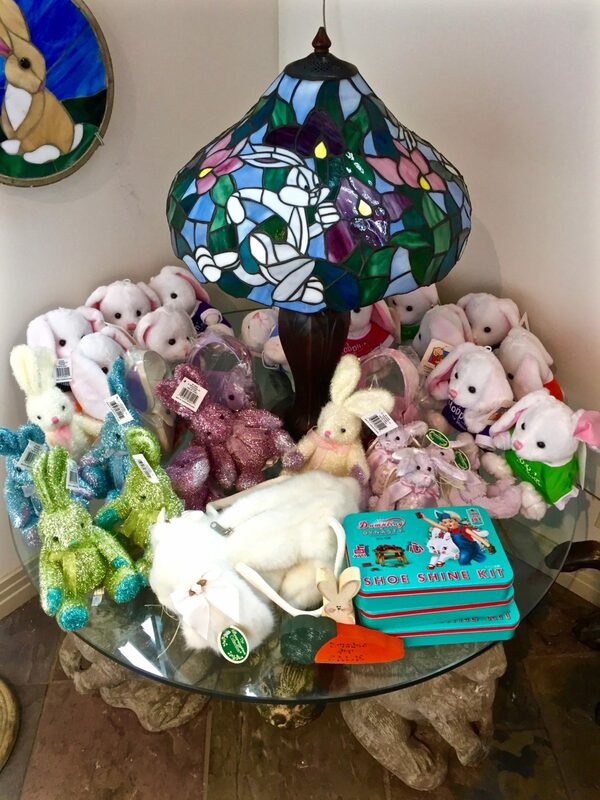 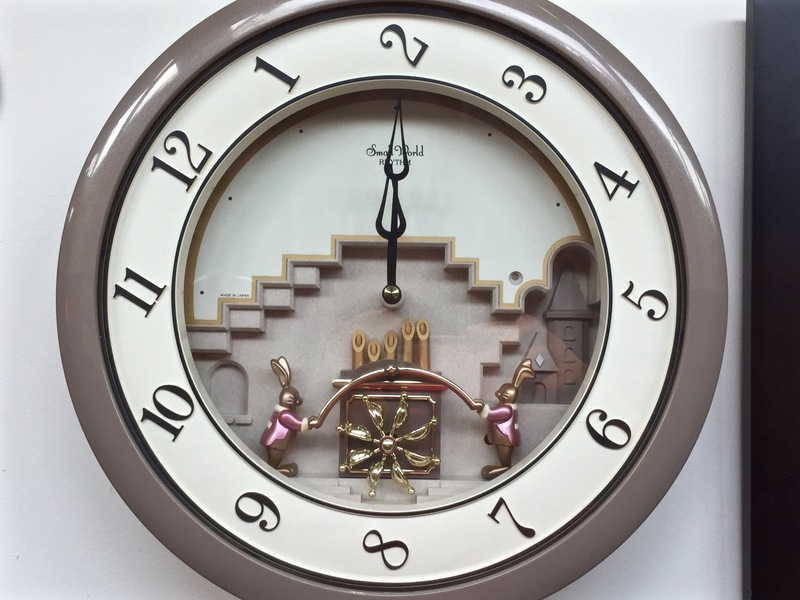 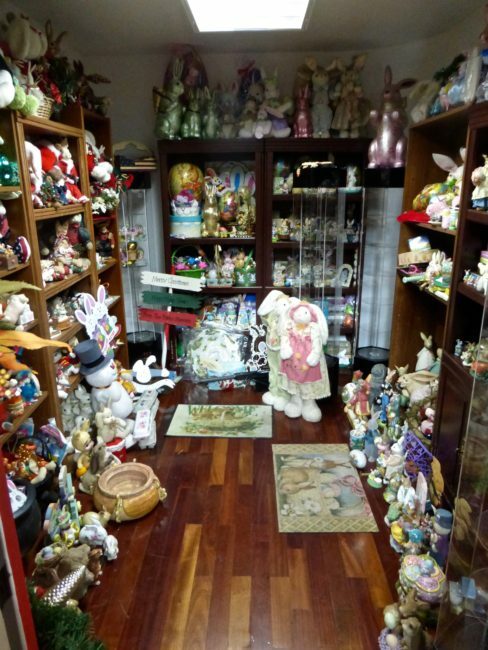 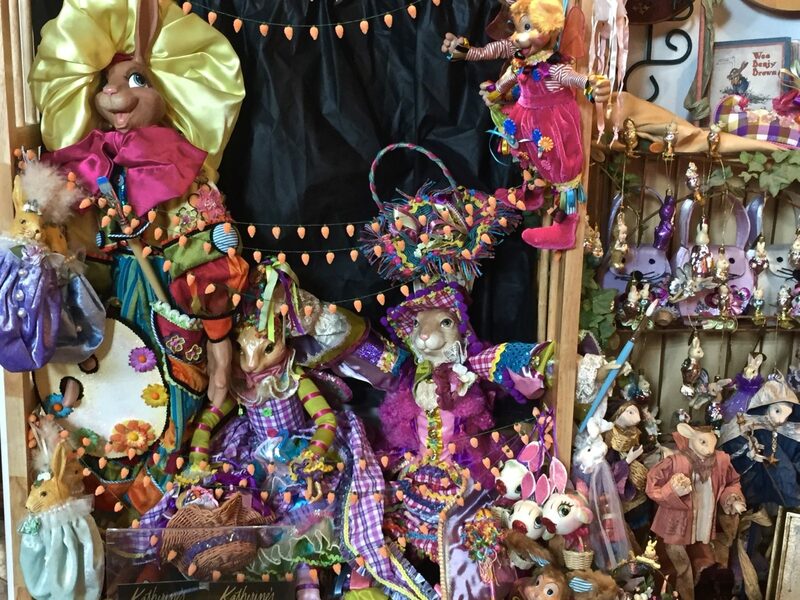 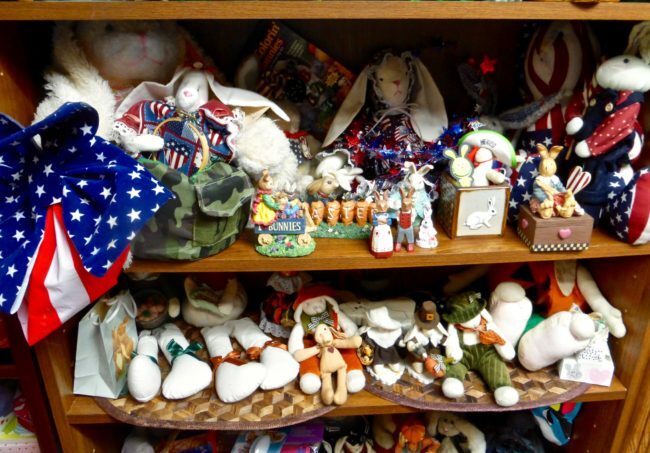 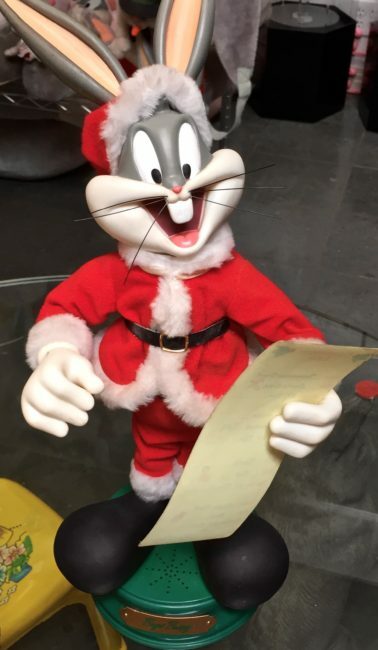 What started as a gesture of love by two people exchanging bunny gifts has turned into the largest collection of bunny paraphernalia in the world. 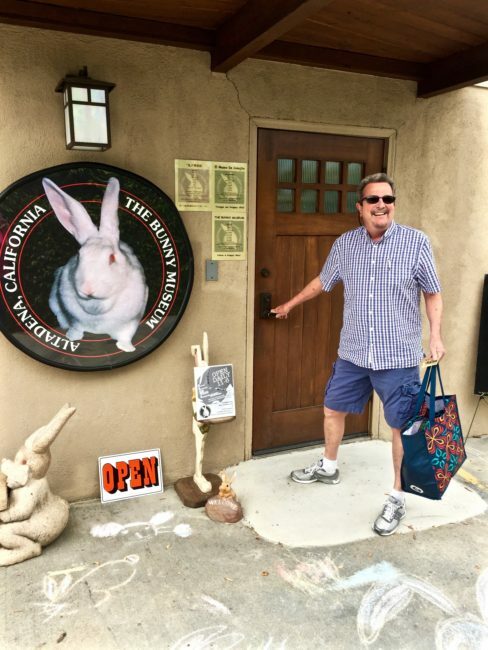 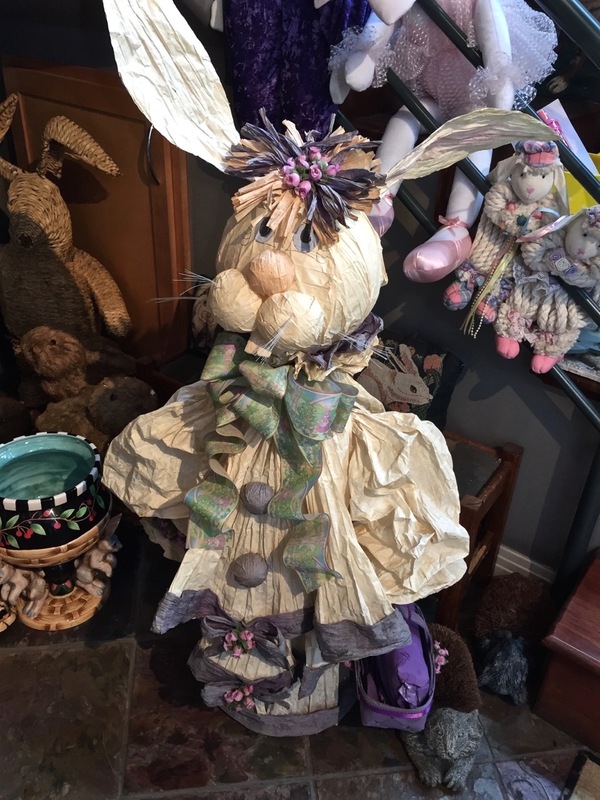 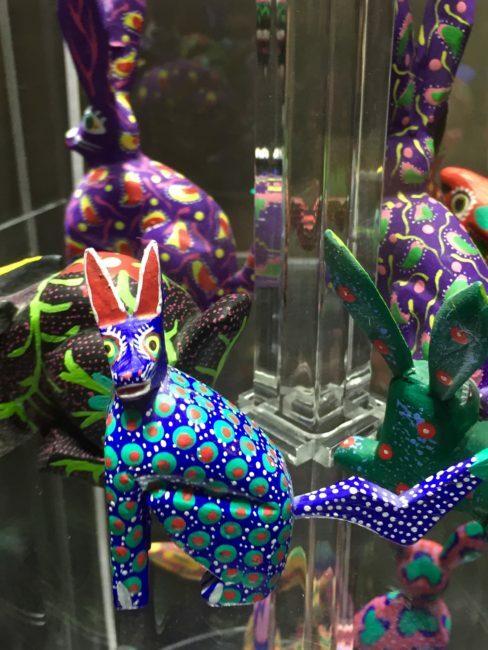 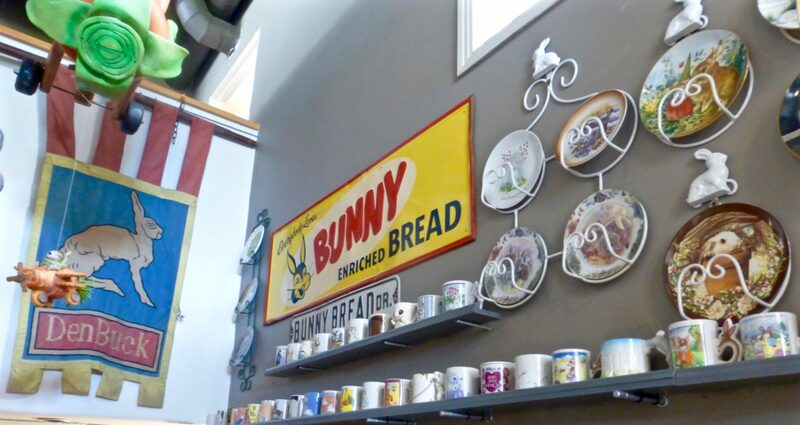 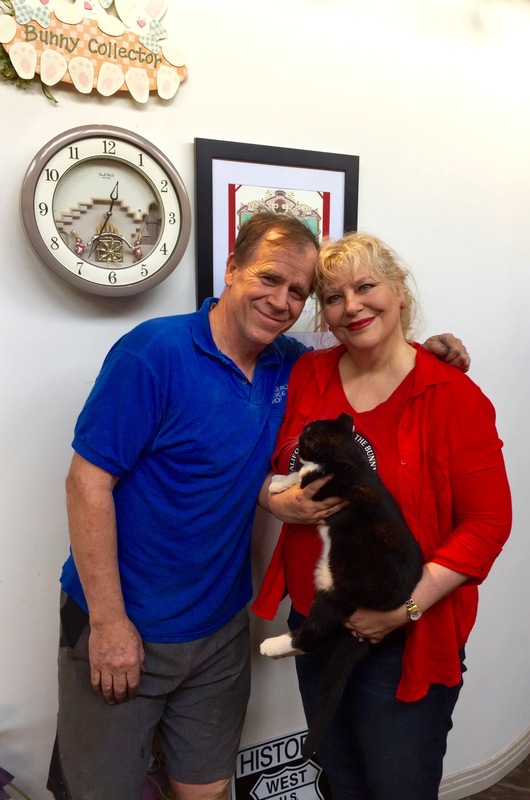 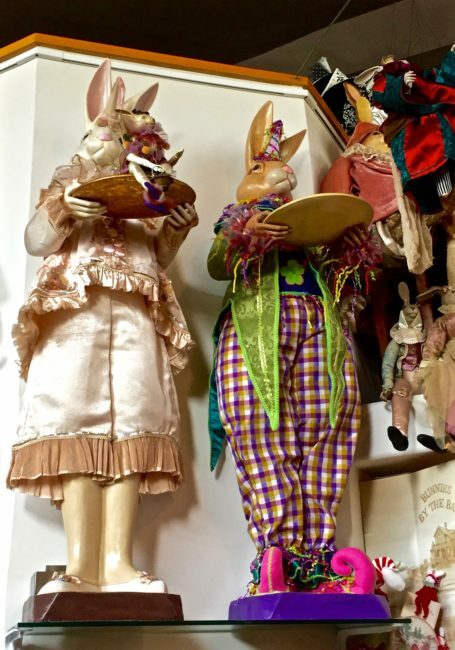 The couple recently re-located from their home in Pasadena and reopened The Bunny Museum on North Lake Avenue in Altadena. 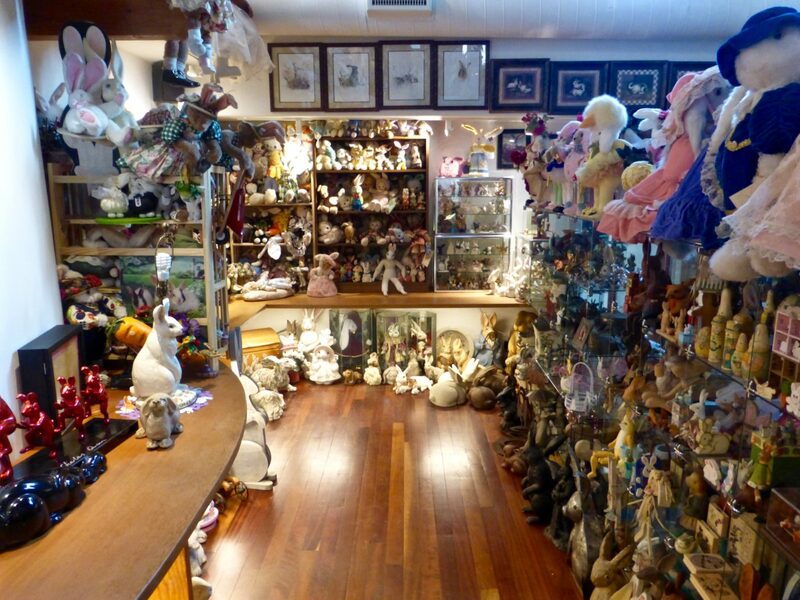 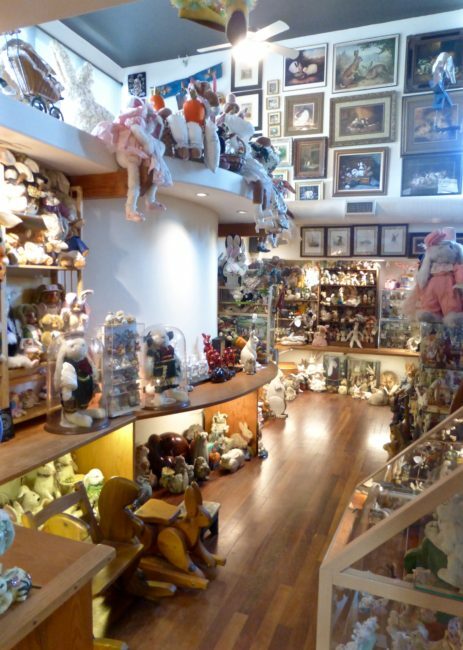 The museum houses 34,000+ bunny items. 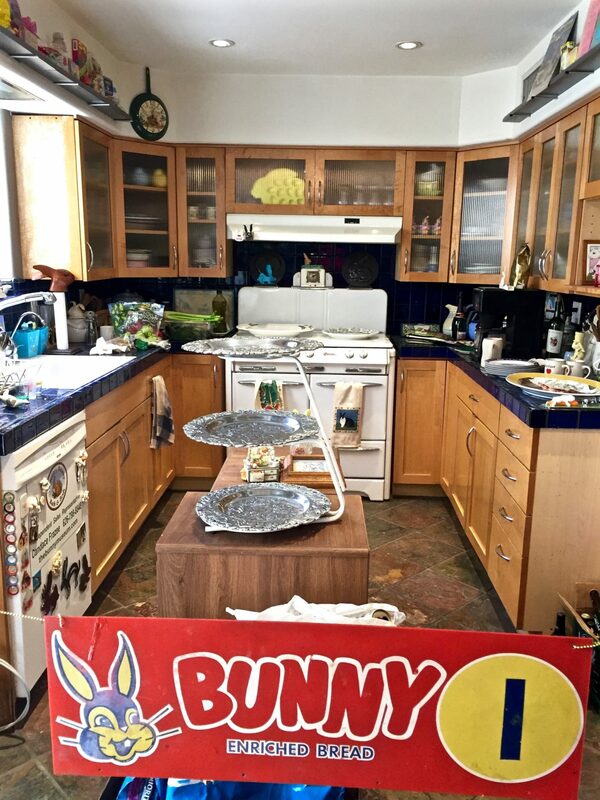 Yes, you read that number correctly (well, you know how rabbits multiply). 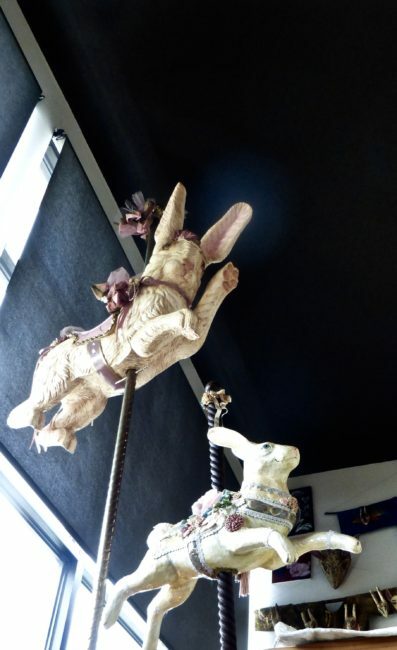 It all started innocently enough when the two were dating. 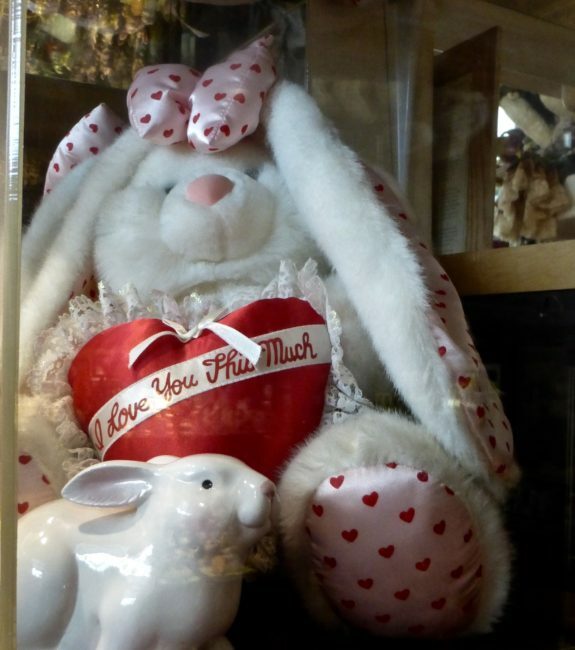 In 1993, Steve gave Candace a large, stuffed white rabbit for Valentine’s Day. 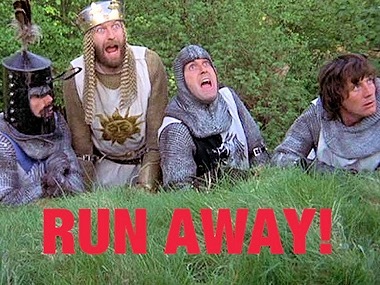 I wondered if he played Jefferson Hareplane during that moment. 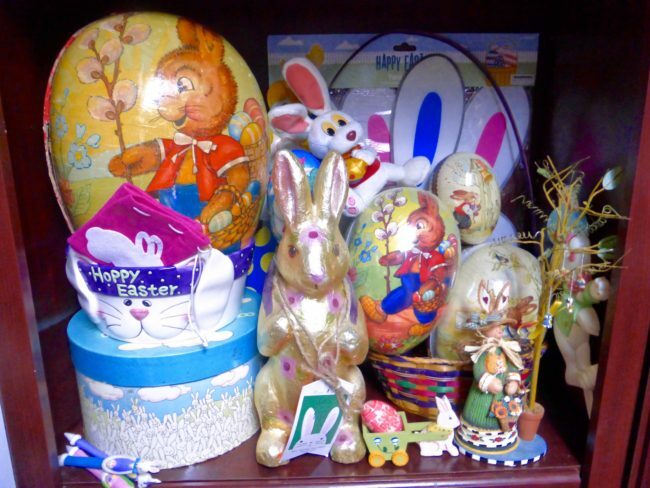 Candace reciprocated with a smaller ceramic rabbit for Easter (photo of the gifts below). Why bunnies? 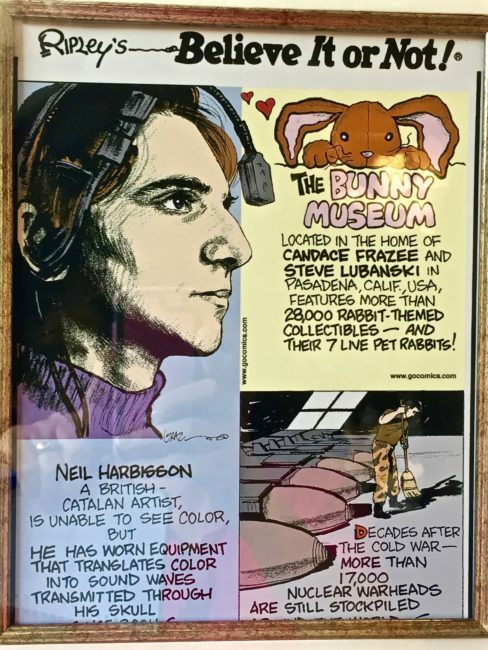 Well, it seems Candace called Steve her “Honey Bunny,” and from that phrase a museum was born. 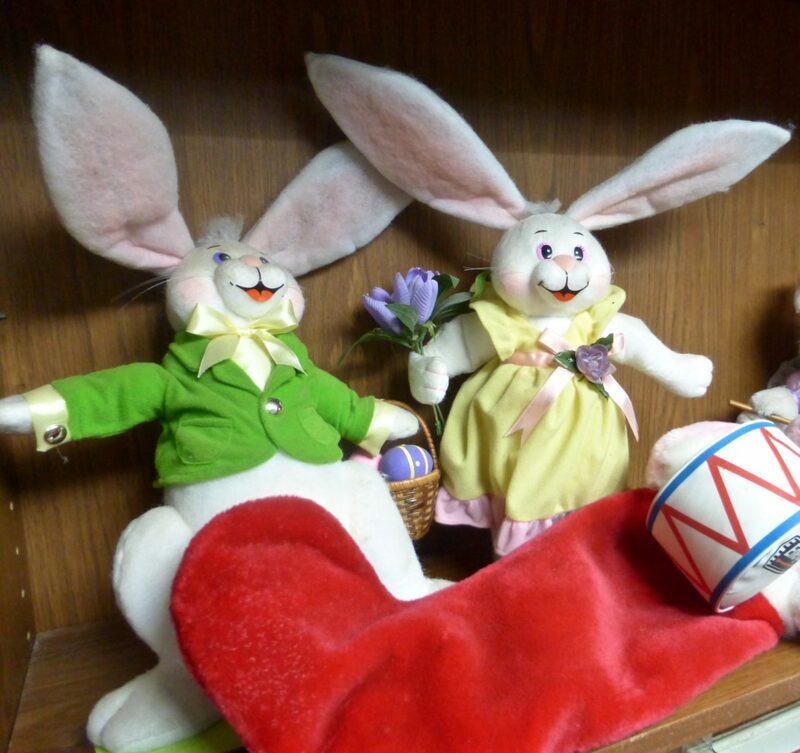 From that day forward, the two would exchange bunny gifts every day and soon there were hares galore. 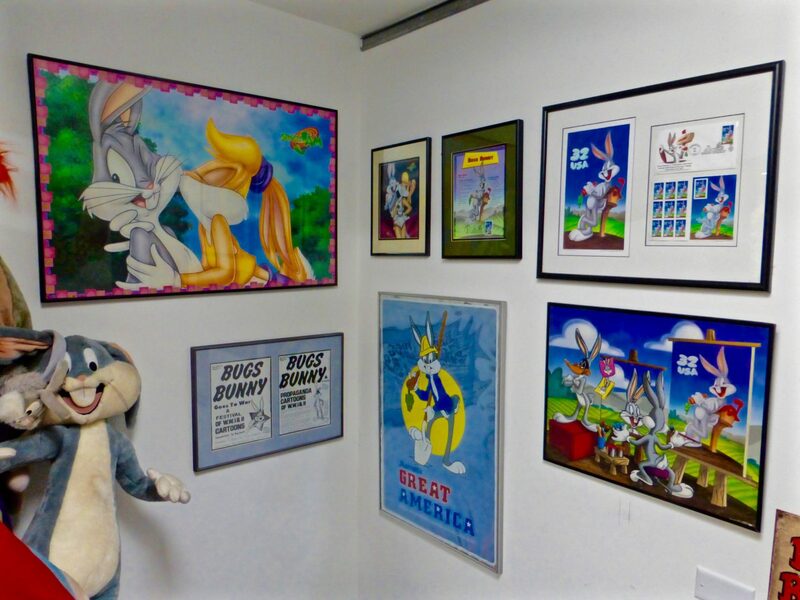 The “Hoppy” couple were married in 1994 (I didn’t ask how many carrots were in the ring), and in 1998 they opened up their house in Northeast Pasadena as The Bunny Museum. 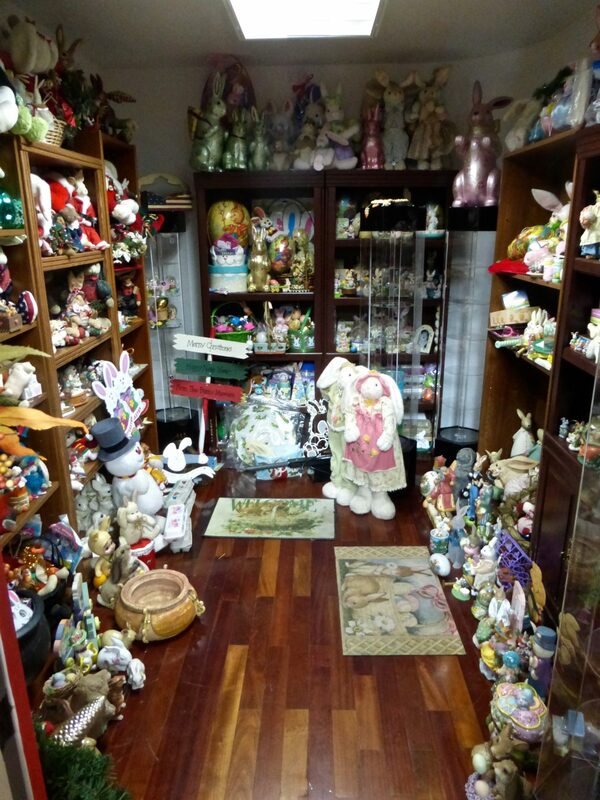 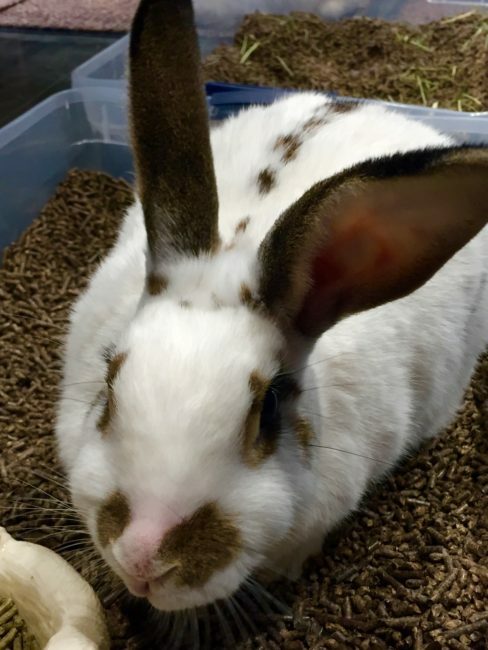 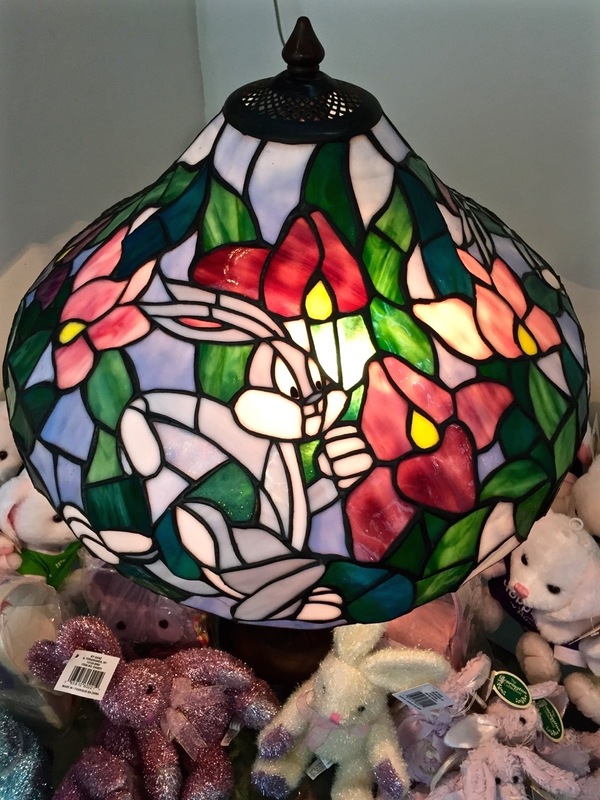 Their collection grew exponentially and by 1999 The Bunny Museum featured more than 8,000 items, which was certified at the time as a Guinness World record for most bunnies. It still holds the record with more than four times the amount of bunny collectables. 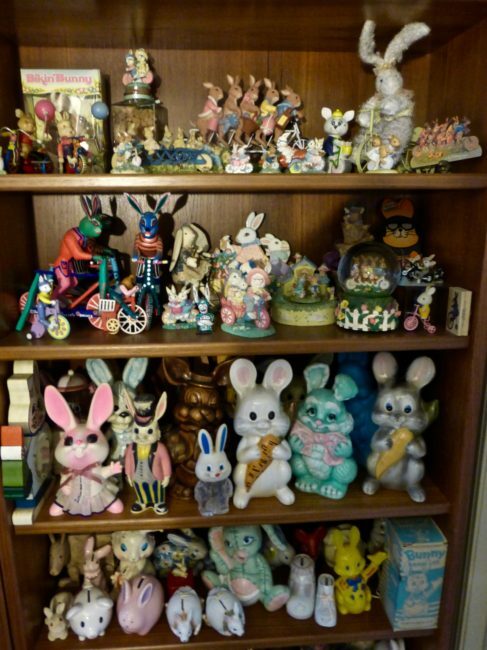 Yes, even more bunnies that have ever lived with Hugh Hefner. 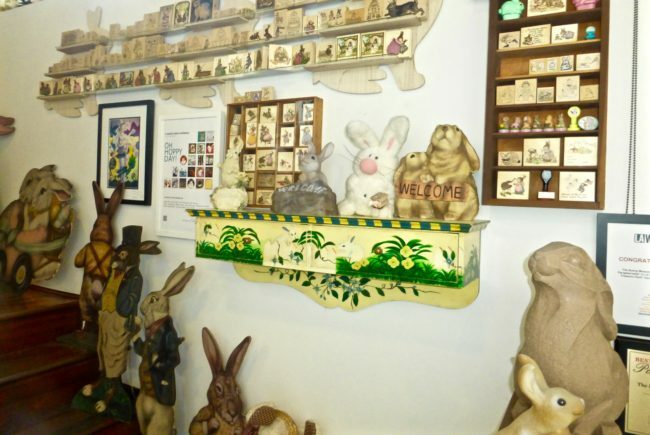 The Bunny Museum collection finally outgrew their home, so on March 20 of this year (19 years to the day of its initial opening) it officially relocated to its new Altadena address, which included quite a Hoppenin’ opening night party. 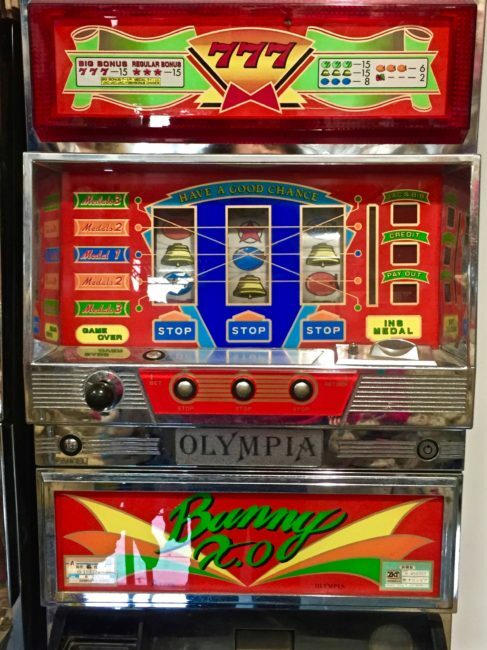 I’m sure many danced the Bunny Hop. Since it’s located just a hop, skip and a jump from our house, Tracy and I decided to take the bunny trail to the self-described “Hoppiest Place In The World” the Sunday before Easter. It’s one of the most colorful museums we’ve ever visited. 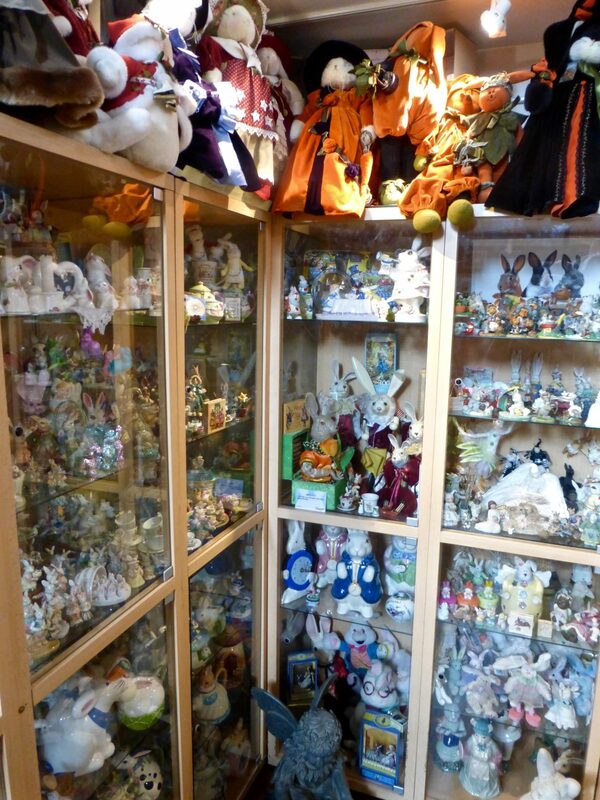 The following is just a snippet of this gigantic collection. 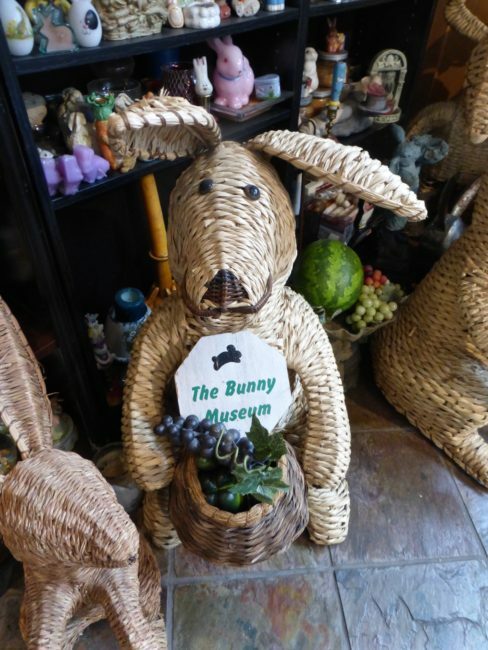 I entered carrying a bag of gifts for a few of the museum residents (more on them later). 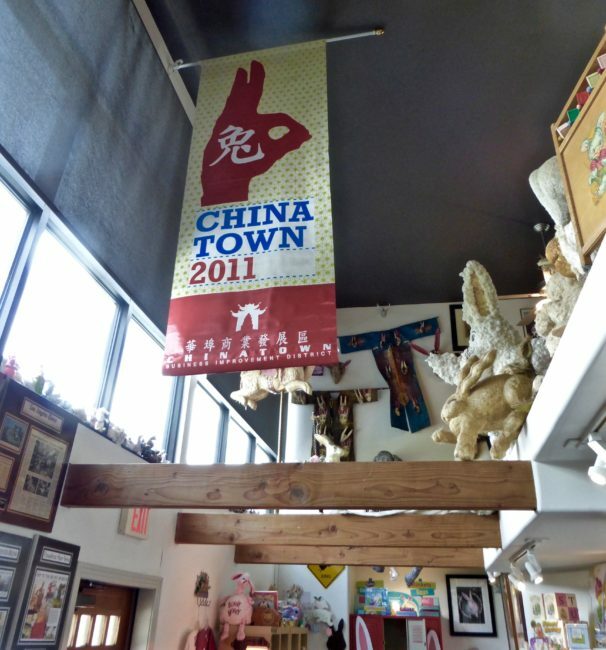 We paid our $8 admittance fee, and we were on the clock. …Candace showed us a plaque from the Guinness Book of World Records and also a recognition of the collection by Ripley’s Believe It Or Not. 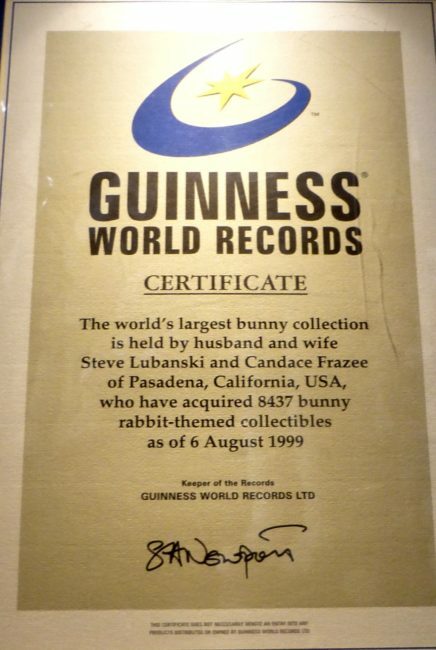 On August 6, 1999, they received The Guinness World Record of the most bunny items in the world…8,437. On March 25, 2011, they received an updated Guinness World Record certificate of the most bunny items in the world…28,423. Both 1999 and 2011 were the Year Of The Rabbit, although the pet she had been holding was looking forward to Al Stewart’s Year Of The Cat. 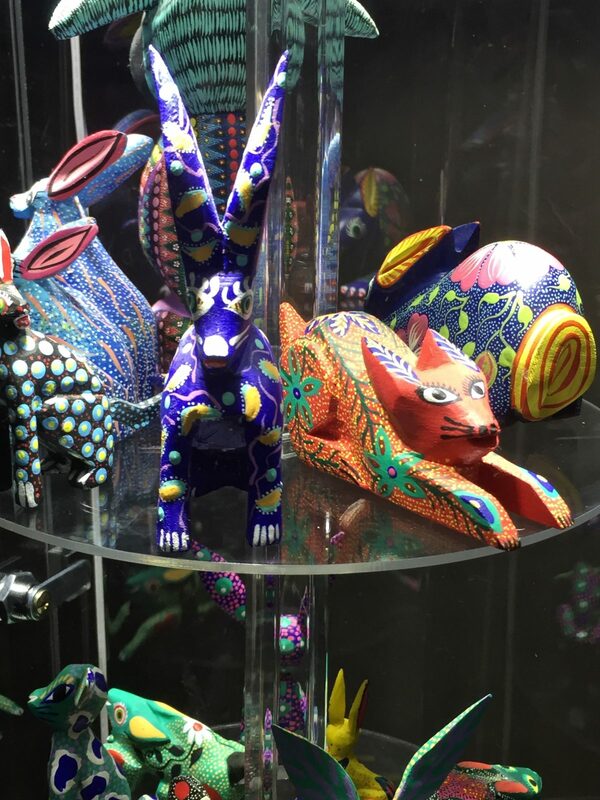 She told us the most popular piece in the collection is a water pitcher called Elvis Parsley (water comes out of the guitar), which she was not about to return to sender. 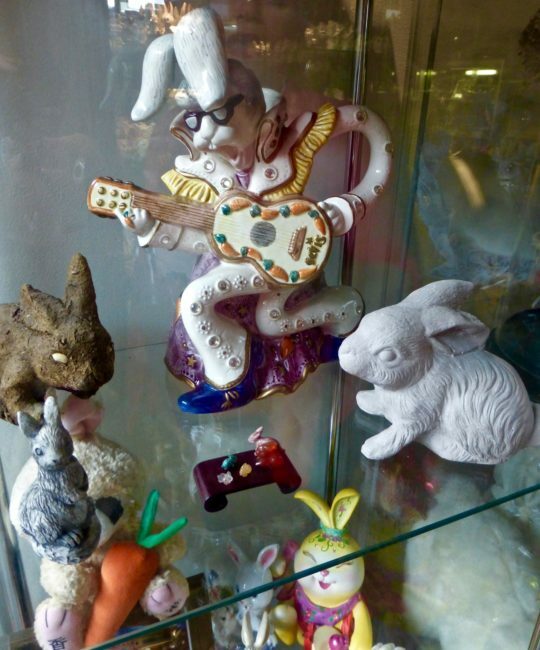 I thought I might play Hare guitar, but thought better of it. 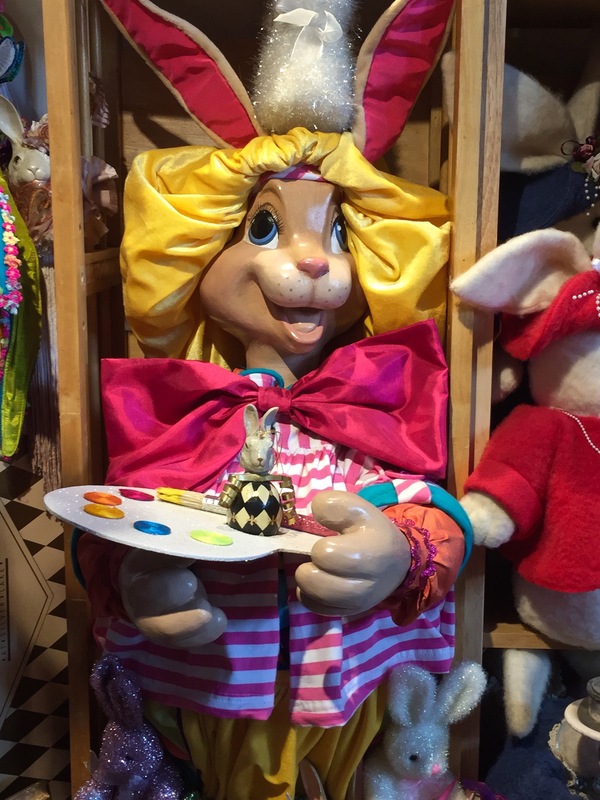 I thanked her very much. 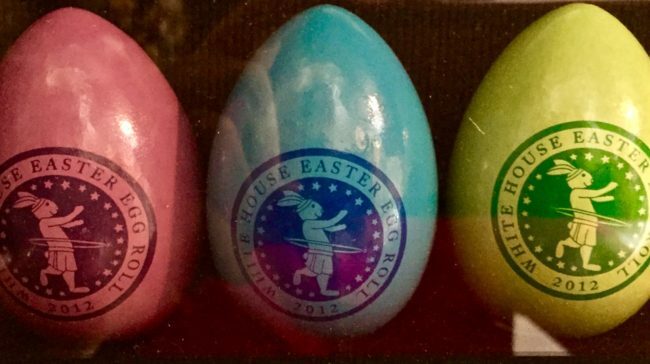 We scrambled over to an eggs-cellent display where we viewed some eggs (only the ones with bunnies on them) from the annual White House Easter Egg Rolls. 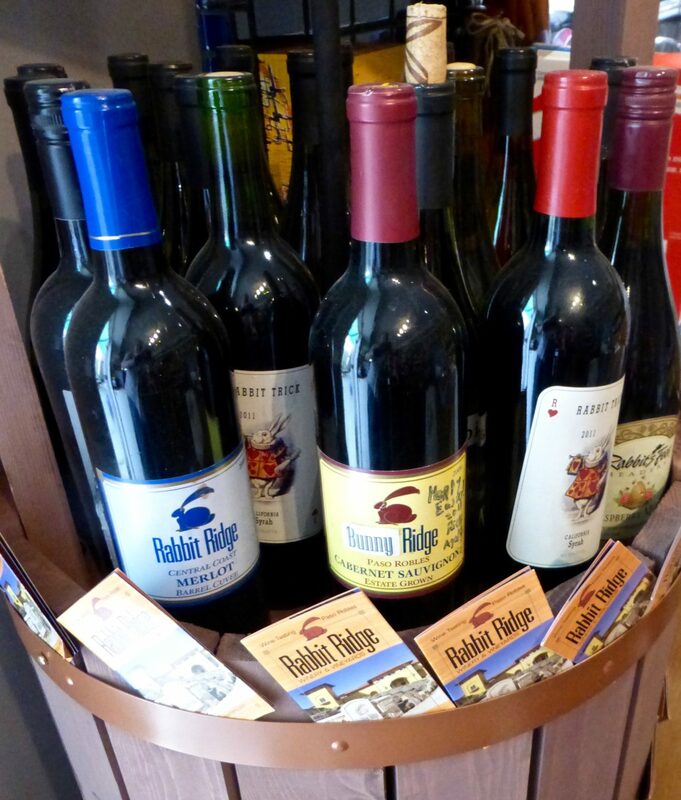 …complete with some special wines. 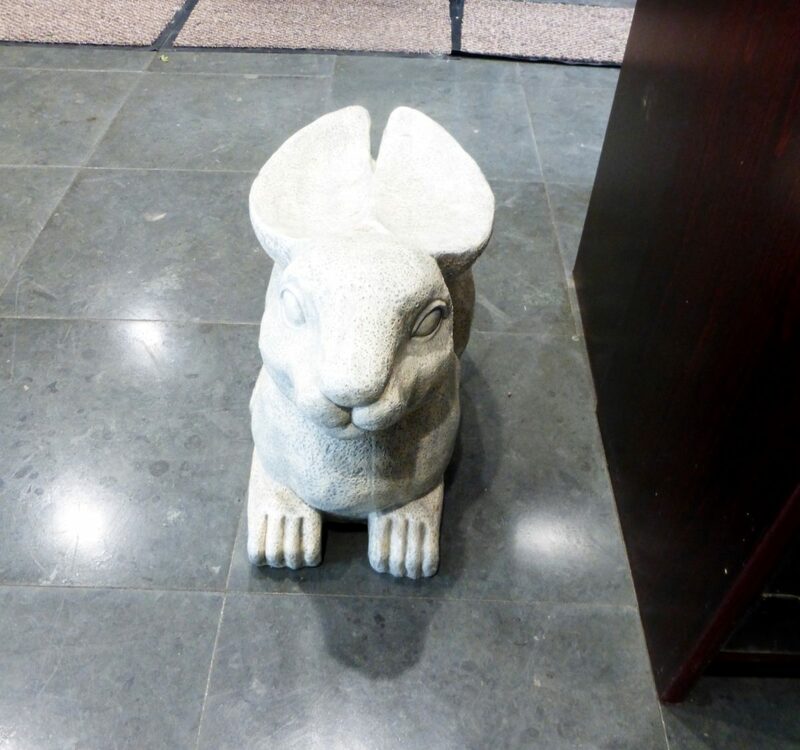 You can also use them as the Hare of the Dog. 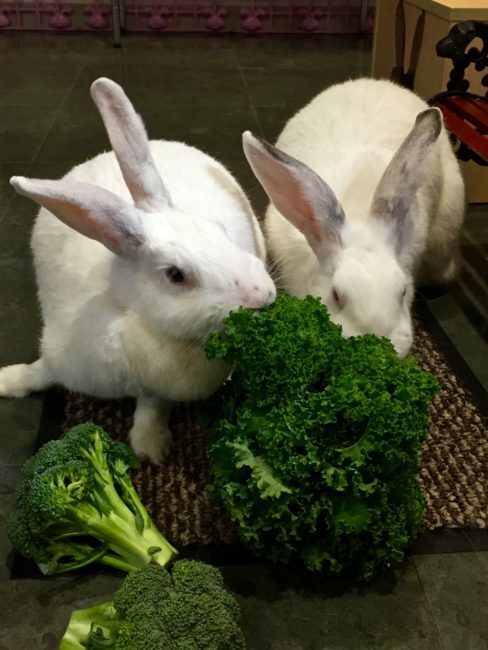 On a nice day they can sit at their Bunny Table located outside the kitchen. Certainly this museum has taken chocolate bunnies to a new level. 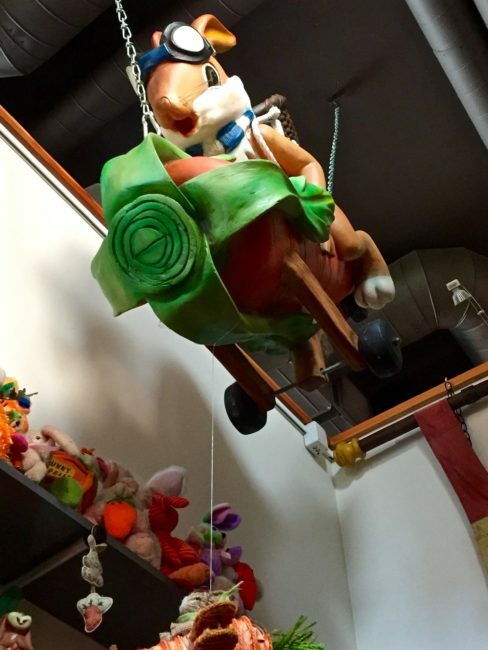 Above, hanging from the ceiling, a rabbit flew on a carrot. 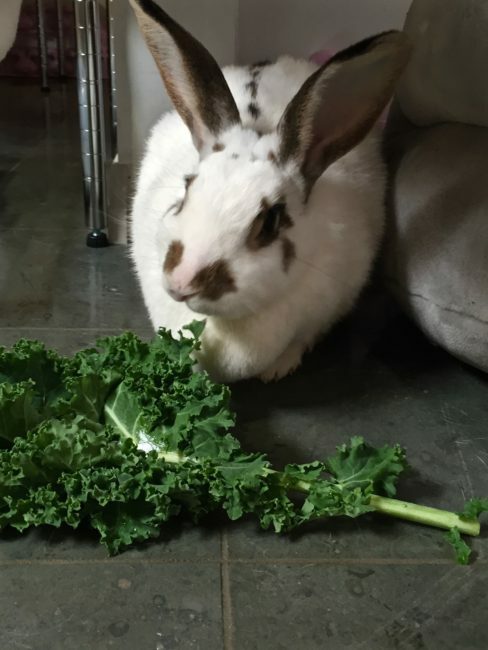 Hopefully he is good with the stick. 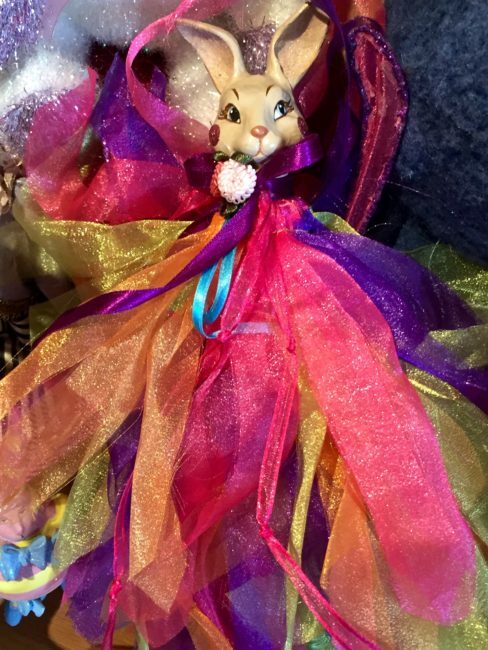 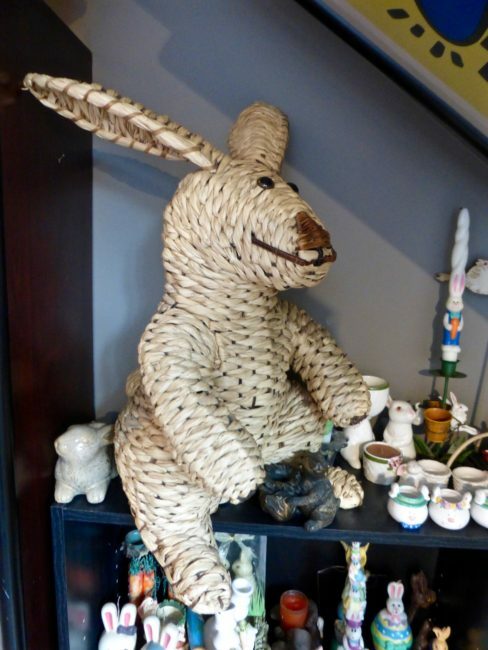 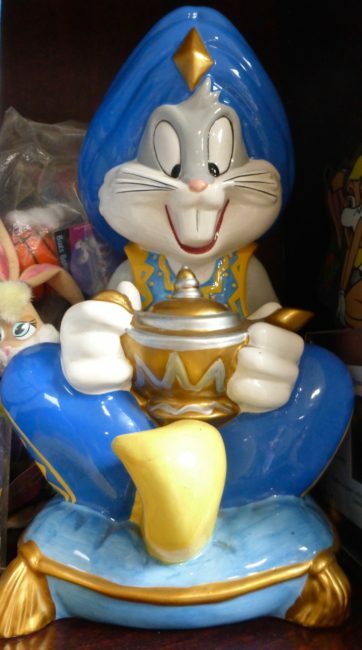 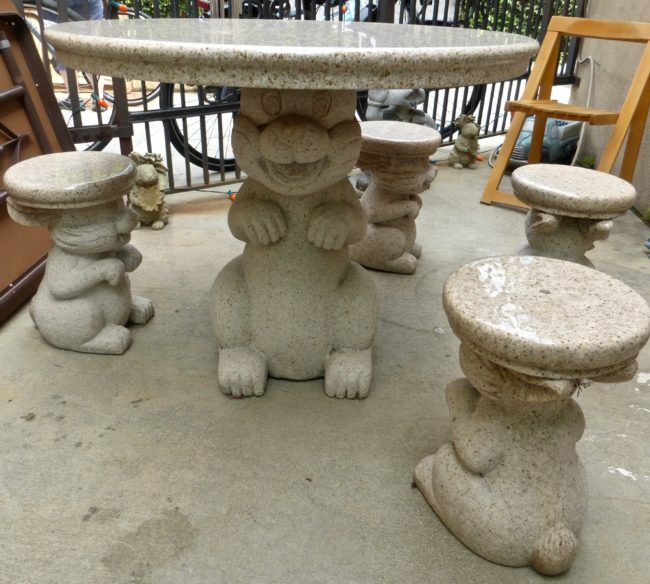 Bunny collectables are everywhere you walk, but they are only to look at, not touch. If you try, the fur might fly, because they might be harelooms. 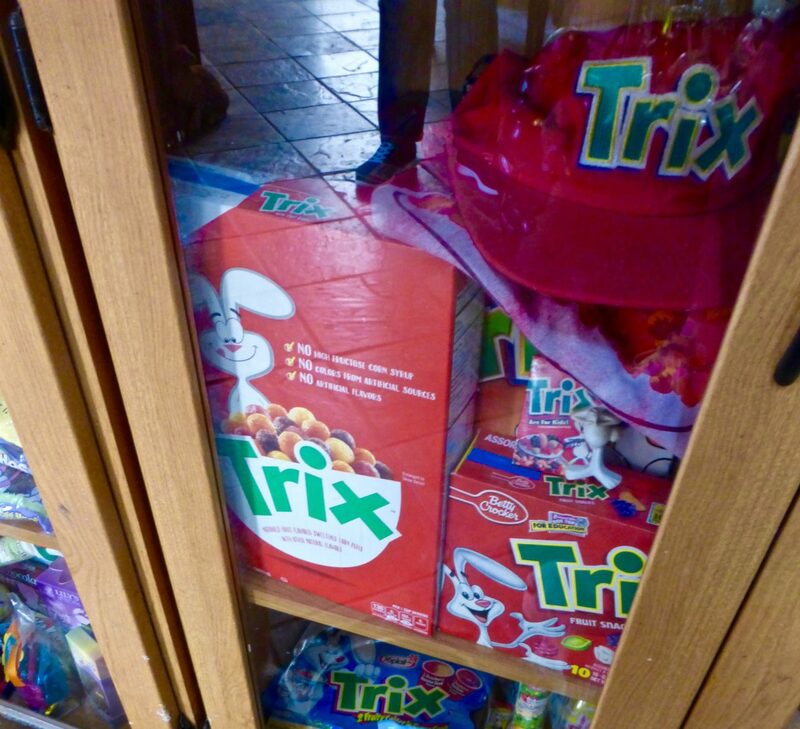 I saw a familiar rabbit who was up to his old Trix. 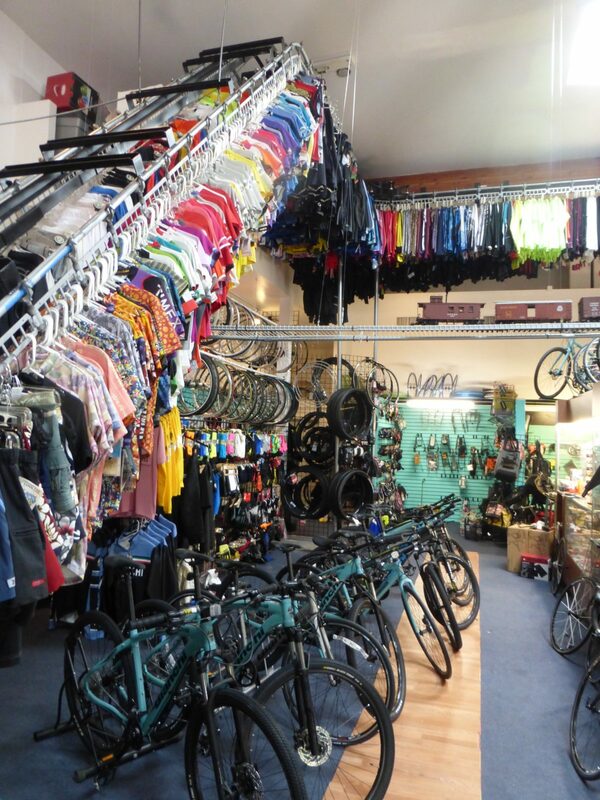 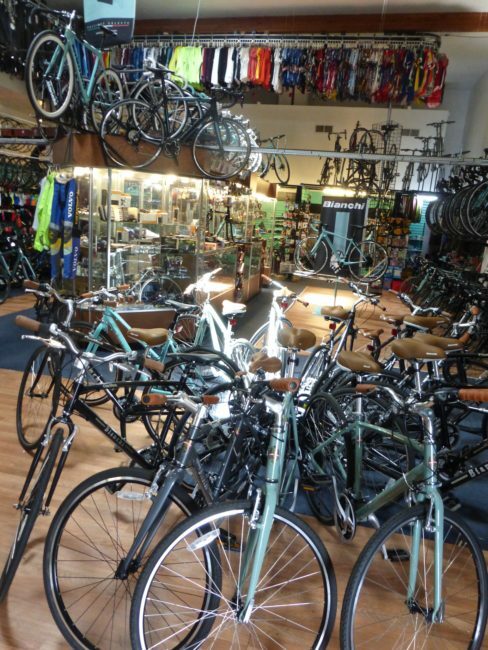 …which is appropriate since Steve owns a cool bike store adjacent to the museum, making him the ultimate spokesman. 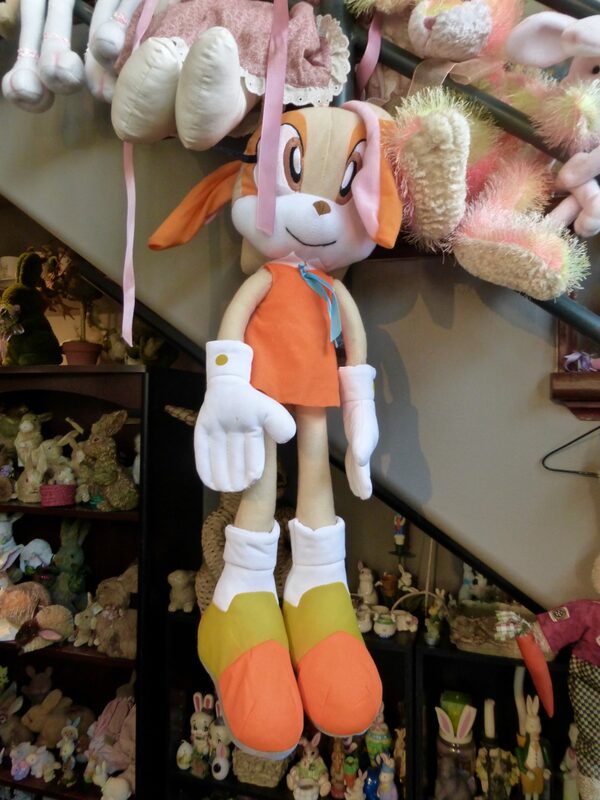 This cutie (“Cream” from Sonic) hung around to greet us, while the other took it sitting down. 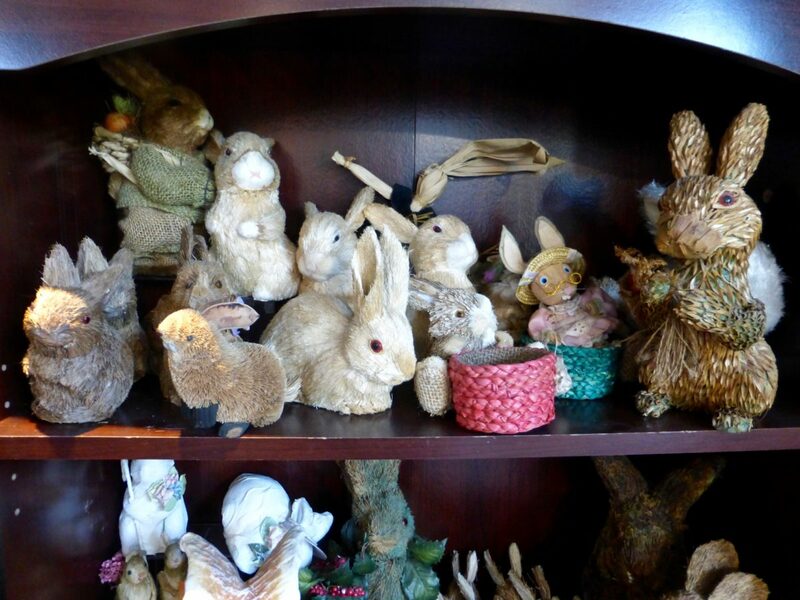 Fortunately in this display, they didn’t split hares. There were rabbits, rabbits and more rabbits in this area. One room is dedicated to holiday bunnies. 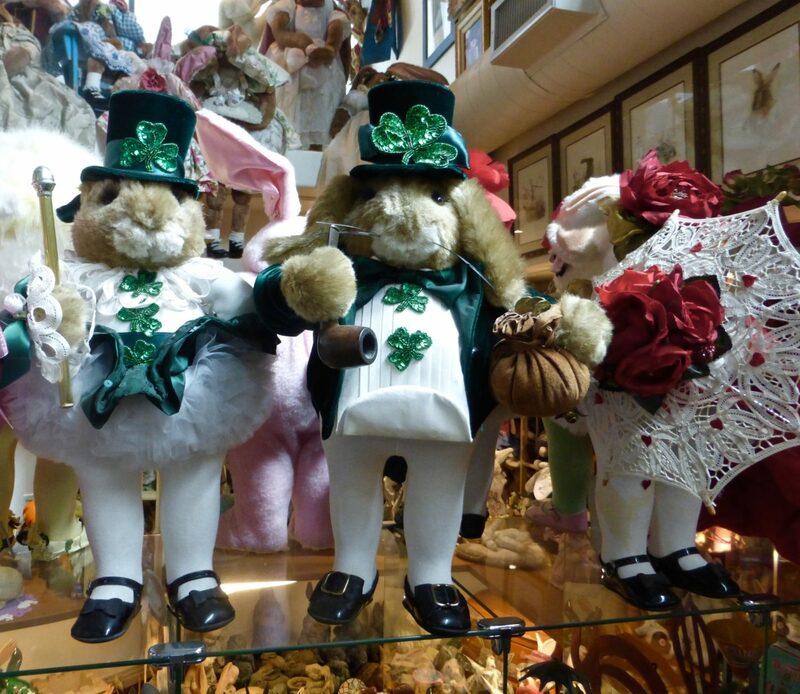 It was evident St. Patrick couldn’t drive the bunnies out of Ireland. 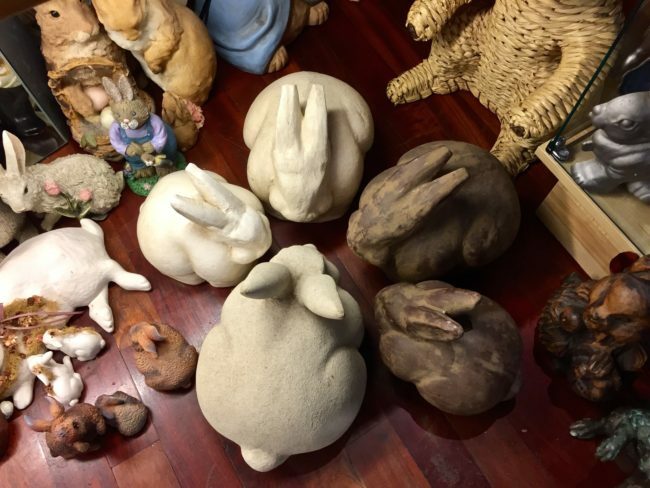 These beautiful pieces were kept in the Rabbit hutch. 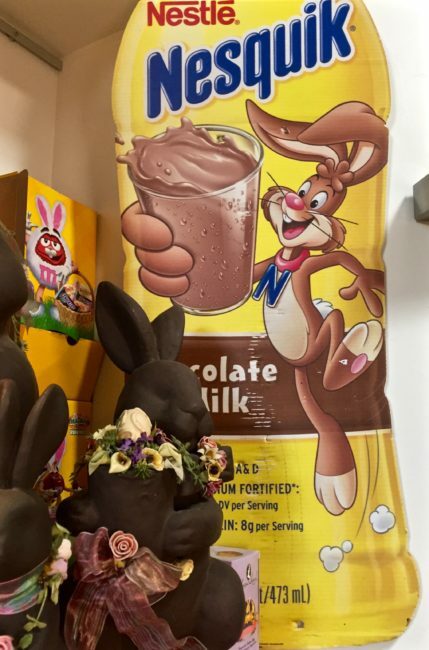 Where else? 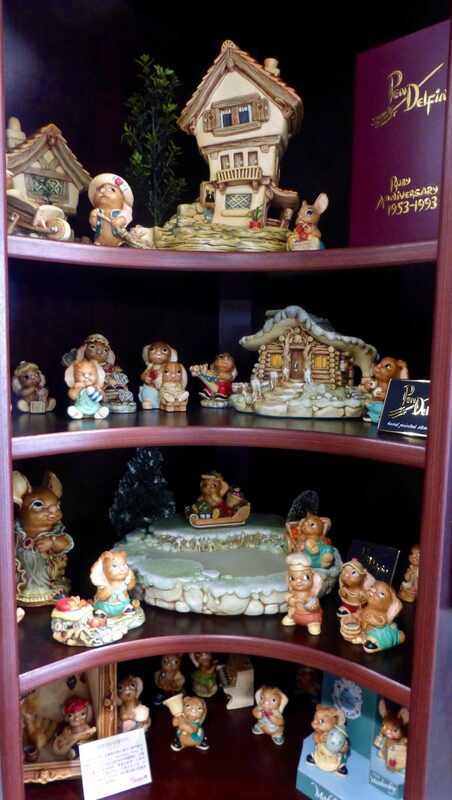 This display reminded us that Easter was almost upon us. 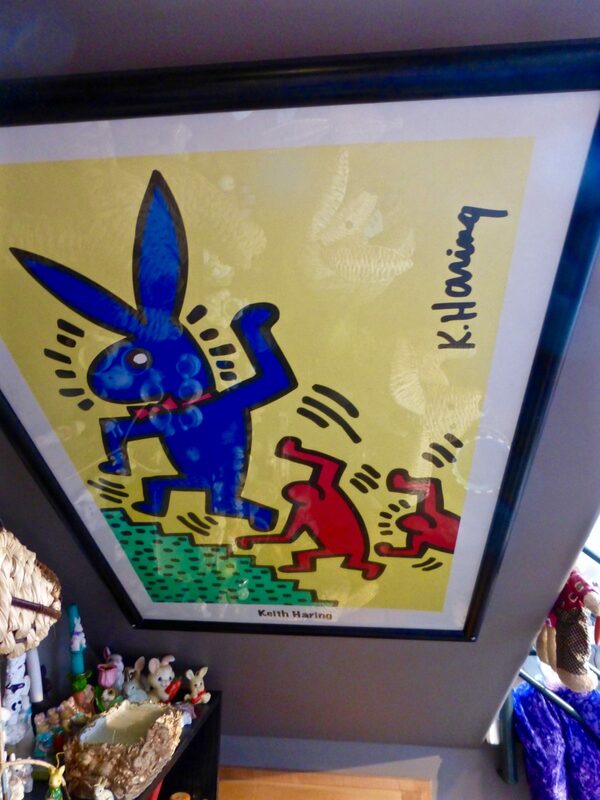 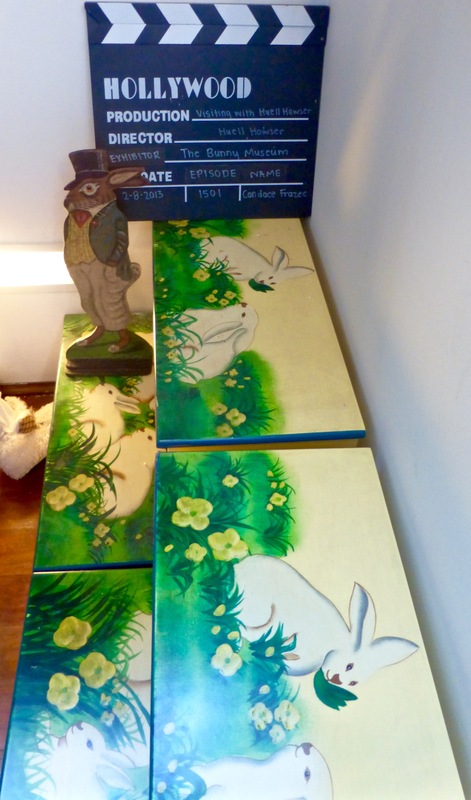 Tracy and I actually own this piece, putting us roughly 33,999 pieces behind The Bunny Museum. We kept hopscotching around the museum. 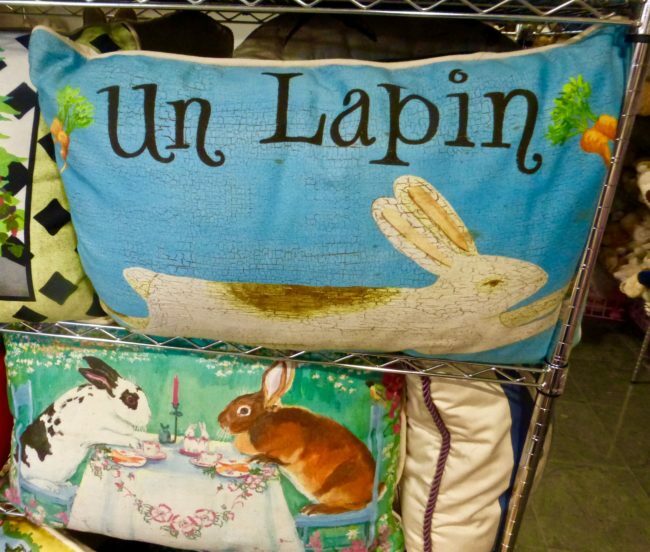 Oui saw un Lapin pillow. 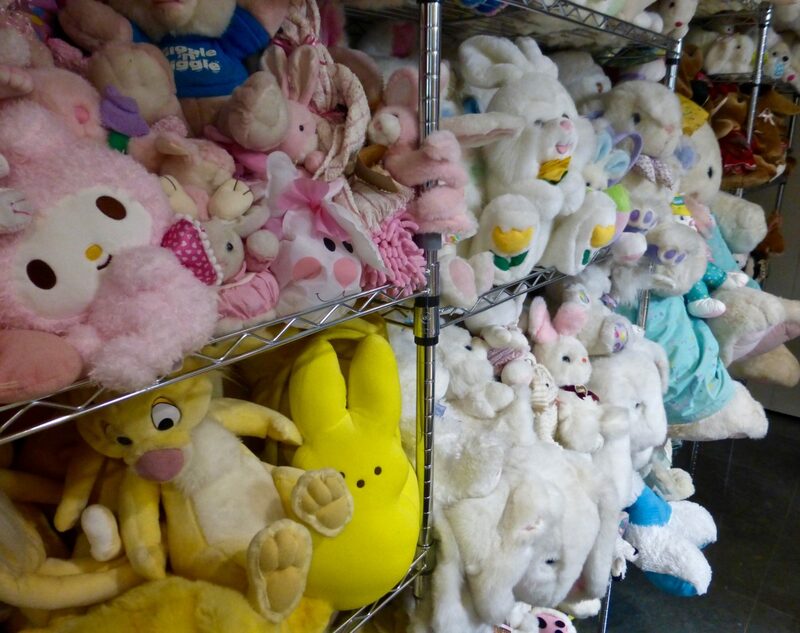 …we ventured into a room with real bunnies. 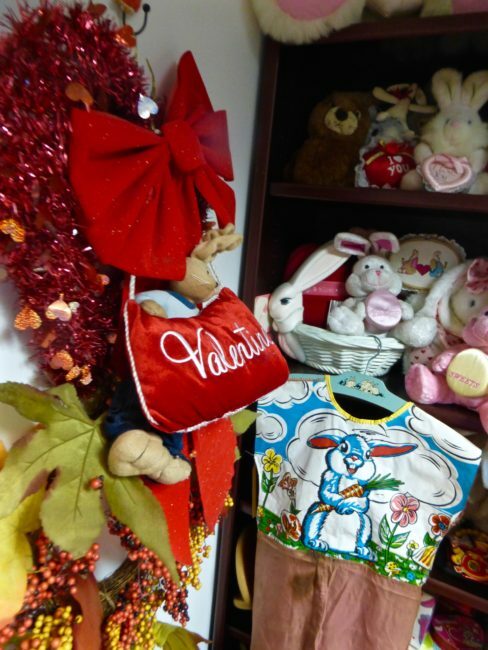 It was here where they feasted on the “presents” that we had brought in the bag. 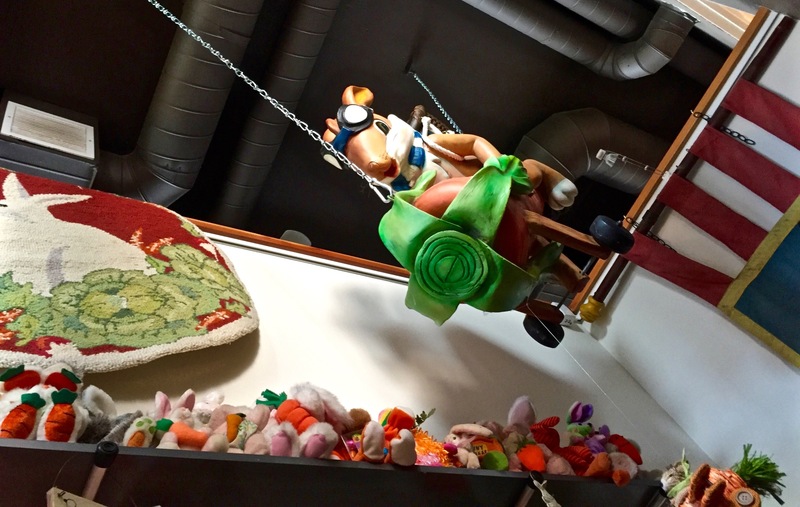 After eating, they were stuffed. Speaking of kids, no one under 12 is admitted to one room, where there are some bunnies deemed too intense looking for kids. There’s also some information on experiments done on bunnies, which are hard to look at no matter what age you are. 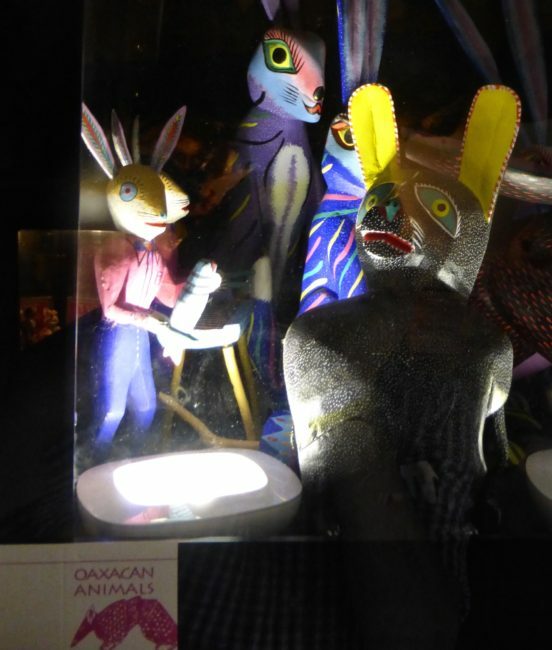 The Oaxazan animals in this case are really beautiful, however. 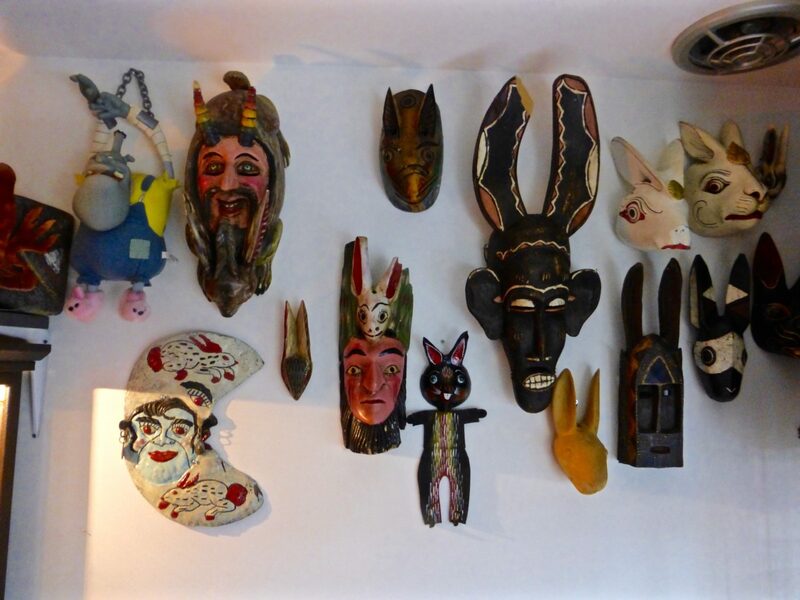 There is also a wall of masks. 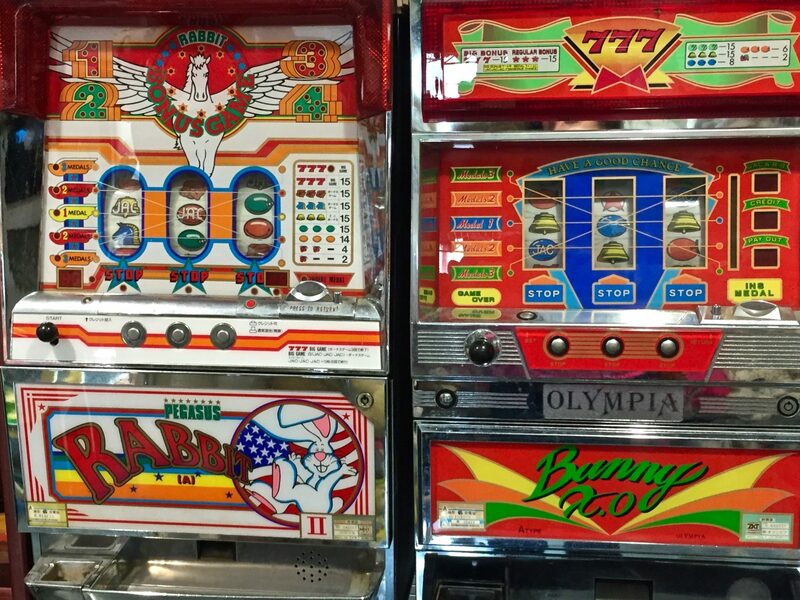 Back out in the main area, these looked like slots of fun. 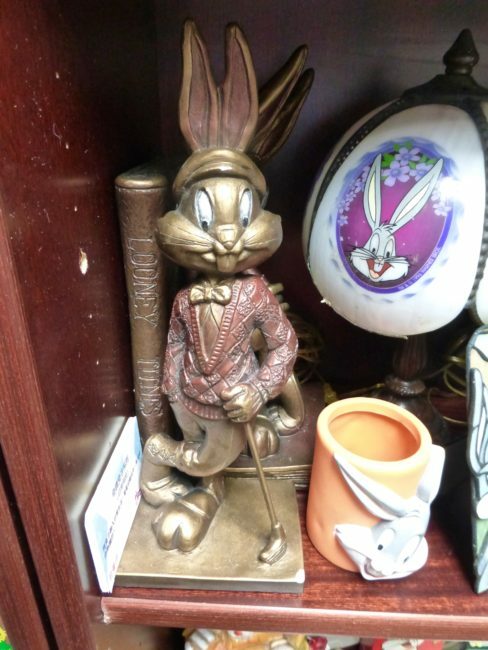 I was hoping to win a jackrabbitpot! 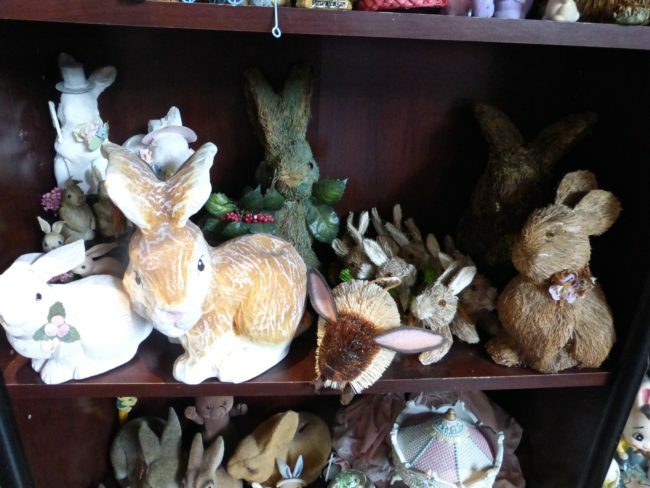 Bunnies By The Bay and Katherine’s Collection are well represented at The Bunny Museum. These are much sought after items. 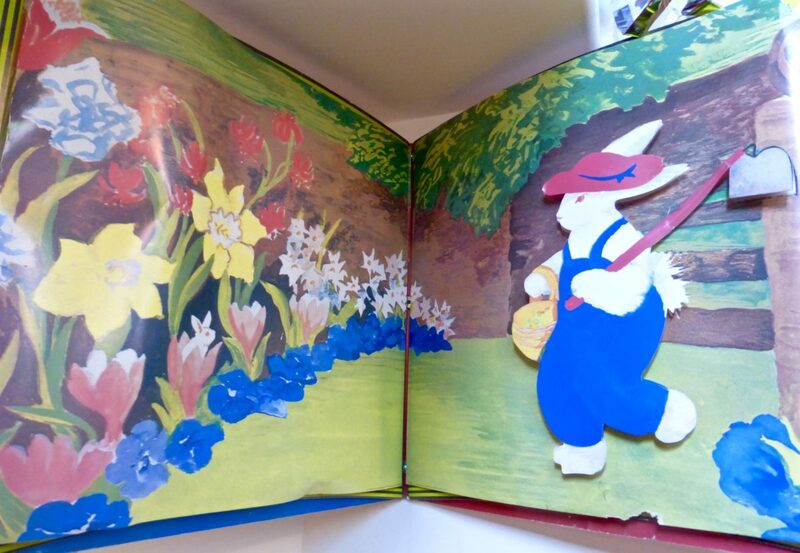 We viewed a rabbit that was on a past Rose Parade float. 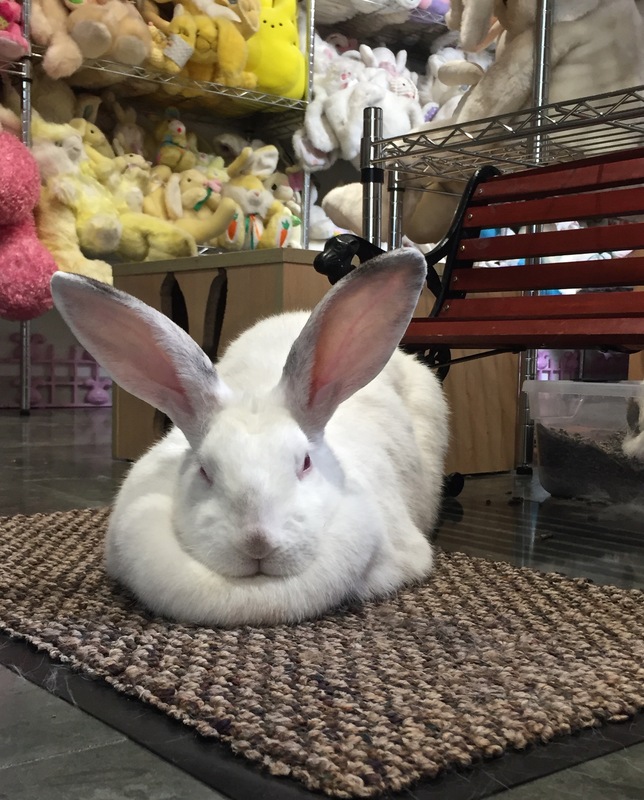 It’s one of nine Rose Parade bunnies on display. 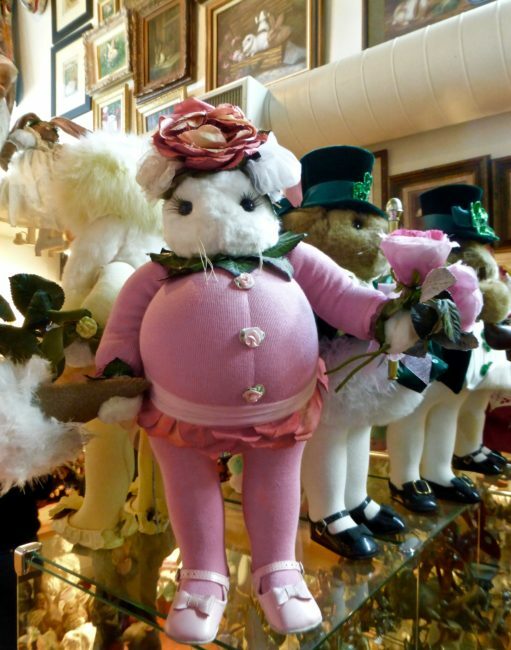 As a matter of fact, in the not-too-distant future they will have a Rose Parade float as well as a large topiary rabbit covered with ivy that used to stand in their front yard relocated to the museum. 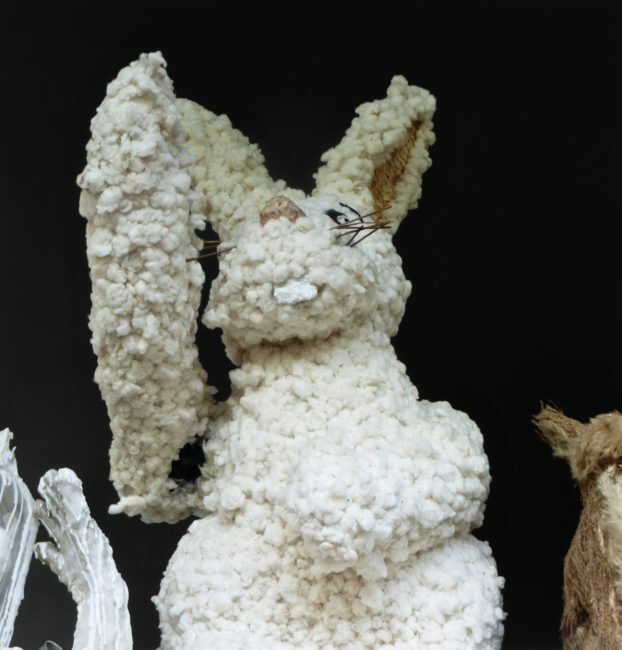 The rabbit stood on the City of Downey float in 1988. Finally, Candace told me one of the highlights of the museum (in its old location) was when Huell Howser featured it in an episode of California Gold. 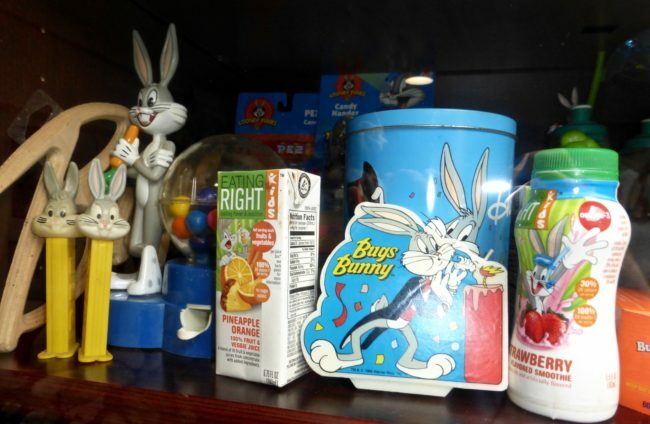 Before he died, Howser included it as one of his favorite 100 episodes to be shown repeatedly on public television (you can also watch it on Youtube). 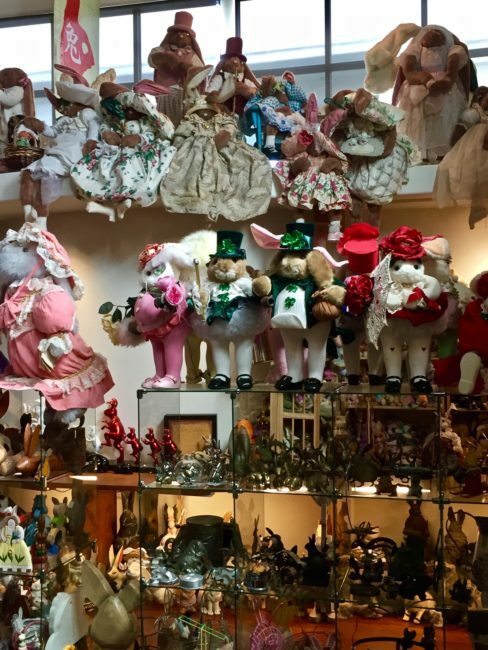 Candace and Steve want everyone to know that this is a living museum, and all museums from the Norton Simon to many others start with private collections. The Bunny Museum is a museum…a 501(c)3 non-profit corporation to be exact…so it will continue to exist after they hop along to the next world. (Sorry, I had to get one more in). I don’t know if they have any hares (really, I’m done now). Hours: Daily 11 a.m. – 6 p.m.